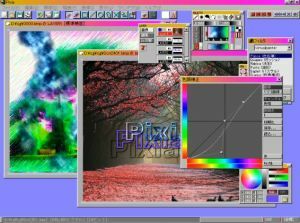 Pixia is the English version of a popular Japanese painting and retouching software for full color graphics. It supports mask, layer and many other editing functions. You can use your own customized brush tips and even use an image file as a brush tip to create unique effects. Its user-friendly interface is suitable for beginners as well as experts. Pixia supports the most common editing techniques and presents a user friendly interface.